Drawing with various tools and materials. 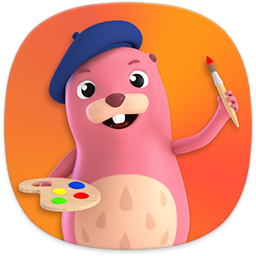 Kids Drawing is one of the native apps for Kids Mode which could be launched only in Kids Mode. – Kids can draw pictures by using drawing tools or adding badges. – Kids Drawing has various drawing mode like a colouring book, sand art and scratch art. Changelog Drawing with various tools and materials.Kids Drawing is one of the native apps for Kids Mode which could be launched only in Kids Mode. Enjoy Kids Drawing after download Kids Mode first. ( Input 'Kids Mode' in the search box of Galaxy Apps. )- Kids can draw pictures by using drawing tools or adding badges. - Kids Drawing has various drawing mode like a colouring book, sand art and scratch art.